CarGurus has 18,916 nationwide X3 listings starting at $2,680. 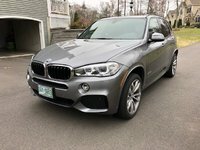 If you need the extra room of an SUV but crave driving performance, the 2017 BMW X3 is worth a long look. 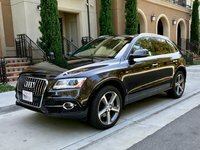 This compact luxury SUV will most likely seem familiar since it’s been on the road in the same basic guise for seven years, but chances are you won’t want to look anywhere else, especially after a test drive. With a redesign scheduled for the 2018 models, not much has changed for the 2017 X3. But some of the upgrades are quite nice, like optional wireless smartphone charging and a Wi-Fi hotspot. Other minor changes include the the addition of Sparkling Brown Metallic as an exterior color choice (replacing Chestnut Bronze Metallic), the deletion of beige as an upholstery color option, a redesigned steering wheel for the M Sport package, and redesigned (optional) 19-inch wheels. Now, let’s talk about those engines. The sDrive28i (rear-wheel-drive, and the only non-all-wheel-drive X3 option) and xDrive28i come with a 2.0-liter turbocharged 4-cylinder that produces 240 hp and 260 lb-ft of torque. This compact powerhouse does more than a 4-cylinder should while getting a very comfortable 21 mpg city/28 highway/24 combined. The xDrive35i bumps up to a 3.0-liter turbocharged inline 6-cylinder (I6), which pumps out 300 hp and 300 lb-ft of torque and gets 19/26/21. And the xDrive28d comes with a 2.0-liter turbodiesel 4-cylinder that generates 180 hp and, like any good diesel, an impressive amount of torque - 280 lb-ft of it, to be precise - while getting an equally impressive 27/34/30. All of these engines are paired with an 8-speed automatic transmission and come with an automatic start-stop feature. The start-stop system improves efficiency by shutting down the engine when the vehicle comes to a stop and re-starting it when the driver takes his or her foot off the brake. The xDrive28i can go from 0 to 60 mph in a tidy 6.4 seconds, a very good number for a compact SUV. The diesel gets there about a second slower, but it feels quicker with all that torque on hand. And the xDrive35i moves from 0-60 in 5.8 seconds. There’s plenty of acceleration left even after the X3 reaches the 60-mph mark. This SUV isn’t just quick - it also lives up to BMW’s high standard of handling. Yes, the ride is a touch firm, but it’s worth it when you take a corner with gusto, and it’s not so firm that you’ll find it uncomfortable in the city or on long stretches of highway. The xDrive AWD system is also highly regarded and a huge comfort to those who live in snowy regions. Like the handling, the interior is pure BMW - analog gauges, ergonomically sound, sumptuous materials, yet an understated style. There’s plenty of room for both front and rear passengers, as well as cargo - 27.6 cubic feet of space behind the rear seats and 63.3 with the rear seatbacks folded. The sDrive28i (starting at $39,945), xDrive28i ($41,645), and xDrive28d ($43,445) all come with the same standard features (apart from the engines), which include Bluetooth phone and audio connectivity, the iDrive electronics interface (which comes with a handy touch pad that allows text or numbers to be entered with a fingertip), cruise control, dual-zone climate control, 8-way power front seats, roof rails, rear privacy glass, LED fog lamps, a power liftgate, power-folding (and auto-dimming) mirrors, and a 9-speaker audio system with a CD player, HD Radio, a USB port, and an auxiliary audio jack. The xDrive35i (starting at $48,645) adds keyless ignition and entry, adaptive xenon headlights, front seat power lumbar adjustment, a panoramic sunroof, satellite radio, and a 16-speaker Harman Kardon sound system. There’s also a horde of standalone options and packages, which can get pricey in a hurry. Every X3 comes with a nice list of safety features that includes stability control, traction control, antilock disk brakes, automatic brake drying, front-seat side airbags, full-length curtain airbags, and active front-seat head restraints. The X3 also received an overall rating of 5 out of 5 stars in government crash testing. What's your take on the 2017 BMW X3? 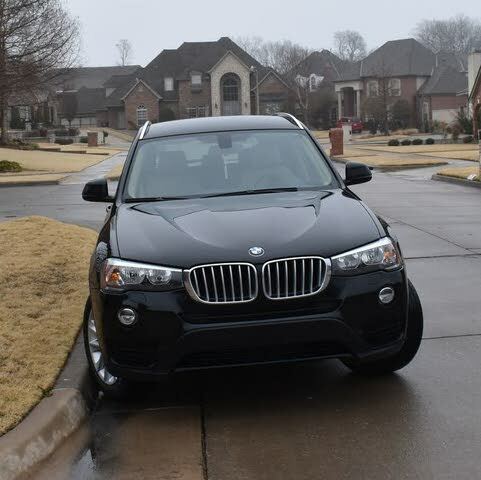 Have you driven a 2017 BMW X3? Does the factory warranty transfer with this car if purchased used from a non-BMW dealership?